On Saturday, Bobby Beathard became a member of the Pro Football Hall of Fame Class of 2018. 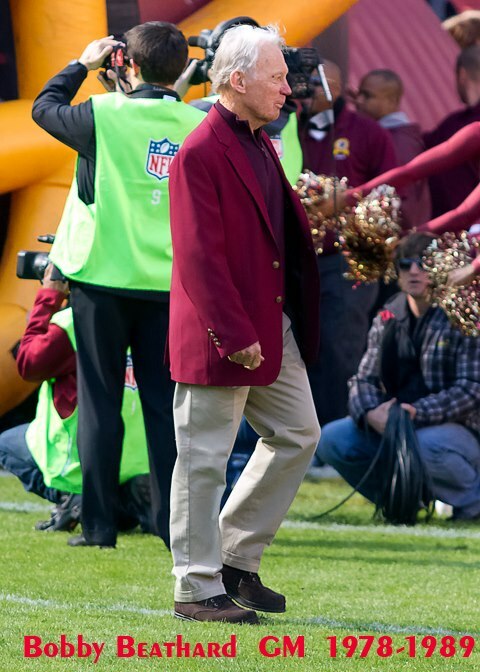 Beathard worked for several different teams during his career but made his biggest impact as General Manager of the Washington Redskins from 1978 through 1989. Beathard's finest hour came with the hiring of NFL Hall of Fame Coach Joe Gibbs, who presented Beathard on Saturday. Beathard was also responsible for signing such greats as Hall of Famer, Darrell Green and fan favorite, wide out Gary Clark. During the strike season of 1987 Beathard was responsible for putting together a strike team, along with Charley Casserly, that went 3-0 and helped propel the team to their first Superbowl victory. Beathard was inducted into the Redskins Ring of Fame during the homecoming alumni day game against the Minnesota Vikings.